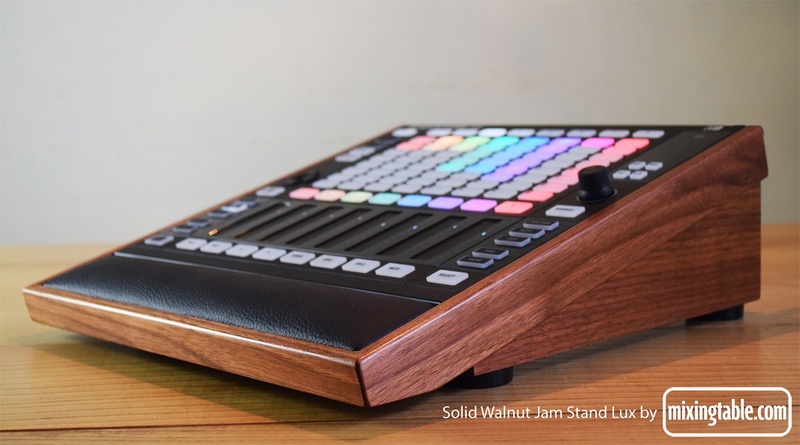 Solid hardwood Lux stand with padded vinyl wrist rest for the Native Instruments Maschine Jam. Rake angle 15 degrees. Great as stand alone and also perfectly matches our Push2 Lux Desk Stand. Estimated shipping date 3 weeks after payment. Available to order in Walnut, Mahogany or Ash.